This beautiful Nikki Lissoni coin is the perfect gift for a special mother. 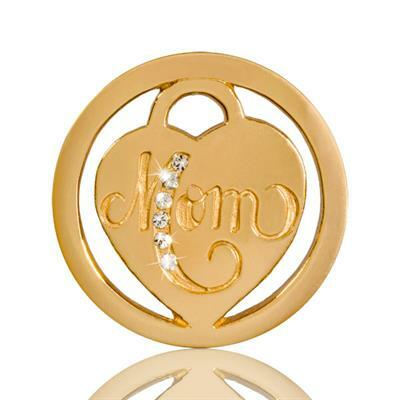 This Nikki coin is 23mm in size with 'Mom' engraved with Cubic Zirconia detailing. Team this with a Gold Nikki Lissoni carrier and 60cm chain for a fabulous set that will hang close to the heart.